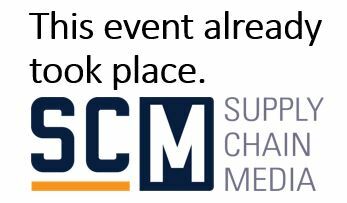 Reed Exhibitions Group (SITL) and Supply Chain Magazine have joined forces to create the SUPPLY CHAIN EVENT on the 21st and 22nd November, 2012. This gathering, which represents a new concept, will take place at the CNIT, Paris la Défense and, for its first edition will bring together 70 exhibitors and 3,000 professionals. Supply Chain Event was born of a joint effort from Reed Expositions and Supply Chain Magazine. As such, the event benefits from Reed Exhibitions’ experience and know-how in organising such events as well as the strong reputation and skills of Supply Chain Magazine in content management. But this collaboration goes much further as it provides a formidable promotion tool through our shared databases, communication and marketing tools. In addition, a press relations campaign will be developed with a particular focus on economic and industry related press.